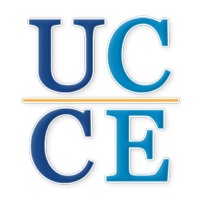 I am delighted to be joining University of California Cooperative Extension (UCCE) as the Urban Agriculture and Food Systems Advisor for Santa Clara and San Mateo Counties. Silicon Valley's culture of innovation, diverse culinary traditions, fertile soils, and Mediterranean climate offer unique food system opportunities. In addition to large tech companies, these two counties are home to roughly 1300 farms with agricultural production valued at more than $450 million. Yet high land values make it difficult for farmers to find and keep land. The high cost of living also contributes to many families' struggle to put healthy food on the table. According to Second Harvest Food Bank, one in three children in Silicon Valley are food insecure. Many of those who are hungry are employed, but don't make enough to cover basic expenses in what has become the country's richest region as well as its most expensive. Despite these challenges, this is an exciting time to work on food and agriculture in Silicon Valley. Santa Clara County is in the process of implementing the Santa Clara Valley Agricultural Plan to preserve agricultural lands and support a vibrant agricultural economy. The nonprofit organization SPUR is piloting a program to make California-grown produce more affordable for low-income families at grocery stores in San Jose and Gilroy. Civically engaged residents successfully advocated for Urban Agriculture Incentive Zones in the City of San Jose, creating new opportunities to put vacant land to productive use. The region's urban farms are involved in growing food for school cafeterias, developing a food entrepreneurship program, and educating students and the general public about food and agriculture, among many other activities. My background is in food systems research. Prior to joining UCCE, I worked as a researcher and lecturer at Santa Clara University. While there, my research included a study of the impact of drought on urban agriculture and how urban farmers and gardeners in Santa Clara County responded. In collaboration with local partners and with the assistance of many volunteer gardeners, I researched how urban gardens contribute to food security—looking at how much food was produced, how much that food was worth, and its nutritional value. 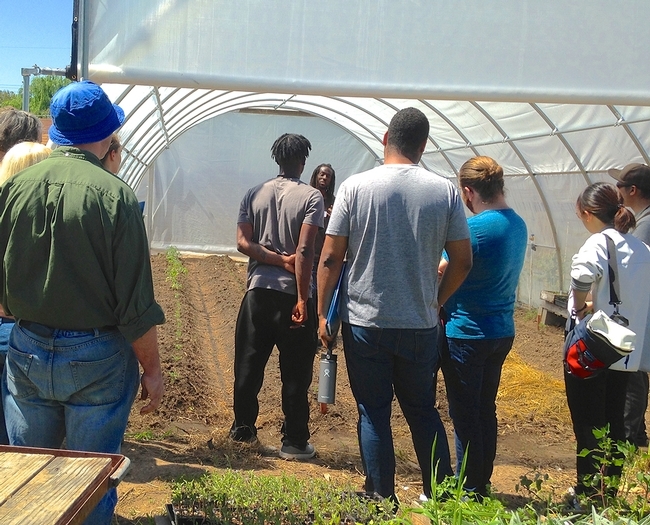 Another project examined some of the broader benefits associated with urban agriculture, such as education, community building, and civic engagement. In my role as an advisor, I'm looking forward to doing applied research, helping to educate about food and agriculture, and finding opportunities to collaborate with partners in the region. Over the next year, I'm making plans to map urban agricultural social networks and identify barriers to farm viability in Silicon Valley. Originally from Maine, I relocated to the Bay Area 15 years ago to pursue a PhD at UC Berkeley. For the past eight years, I've been working and raising my family in the South Bay. If you'd like to learn more about my work or Silicon Valley's food system, please be in touch. 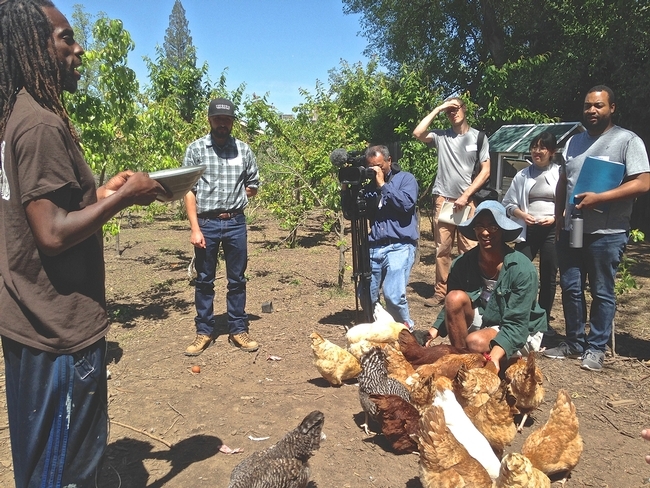 You can find me here: http://cesantaclara.ucanr.edu/Programs/contact/?facultyid=40005. Does Urban Agriculture Improve Food Security? 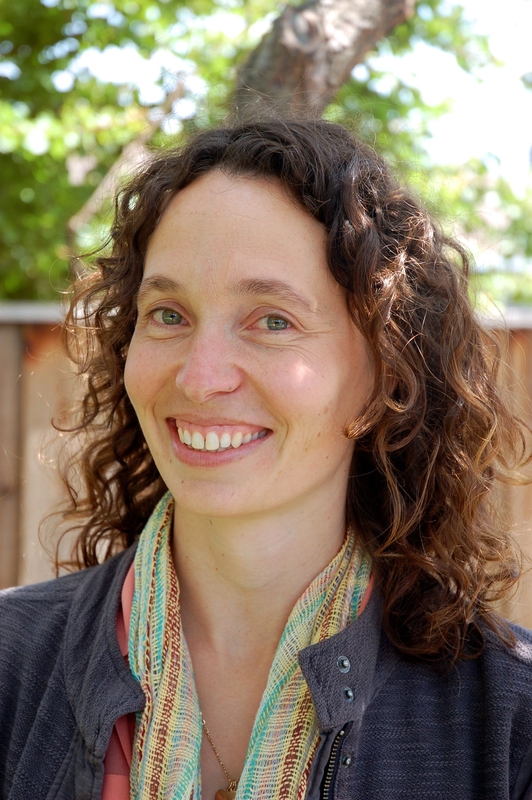 A newly published literature review in the Journal of Sustainability conducted by a team of Berkeley Food Institute researchers has found that while many studies cite the potential food security benefits of urban agriculture (UA), there are few that robustly measure the impact of urban farms on improving food security in low-income communities. Results of this review are guiding a three-year research project, funded by the Foundation for Food and Agriculture Research and the Berkeley Food Institute to investigate and address urban food access challenges in the eastern region of the San Francisco Bay Area, where interest in UA abounds, yet levels of gentrification, food insecurity, and income inequality are growing. Without understanding the actual links between UA and food security or which specific characteristics, models or approaches reduce insecurity, urban policymakers and advocates risk backing policies that could have unintended consequences or negative impacts on vulnerable individuals and communities. We argue that in addition to more robust analyses that measure the actual social, economic, and health impacts of urban agriculture, and how they impact food security, it is important to understand which approaches to policy, governance and civic engagement support UA models that are effective in reducing food insecurity. In general, we see three trends in current scholarship on UA in relation to community food security: (1) a focus on the production potential of urban lands, (2) individual case studies highlighting various nutritional, health, and other community benefits or outcomes from urban gardening initiatives, and (3) more critical analyses of UA through food justice and equity lenses. To this latter point, robust theoretical analyses have emerged critiquing the risks of UA when approached without an equity lens, potentially reinforcing structural injustices and racism and negatively impacting communities that ideally should benefit the most. Deeper historical and structural challenges including poverty, racism, and divestment in specific communities and neighborhoods are increasingly being recognized as the root causes of the problem of unequal access to sufficient supplies of safe, nutritious, affordable, and culturally acceptable food facing cities. Designating land for agricultural use in urban areas may conflict with other city planning priorities around affordable housing, community economic development, or smart growth approaches associated with reducing urban sprawl and mitigating climate change, such as transit-oriented development. Because of the persistent legacy of systemic discrimination, it is neither inevitable nor guaranteed that urban agriculture will redress food system inequities; in fact, urban farms can sometimes lead to displacement through eco-gentrification. This is a particularly acute concern in areas experiencing housing pressures and population growth, such as the San Francisco Bay area and New York City. (3) the importance of civic engagement to advocate for and hold cities and counties accountable to the needs of low-income communities. We highlight examples from both the scholarly and gray literatures that demonstrate how UA can improve food access, distribution, and justice, in a way that supports both consumers and producers of food in cities. The gray literature in particular reveals many emerging and informal distribution networks for urban produced foods that would benefit from further academic study, such as gleaning networks, distribution apps, and online platforms. The review concludes with a set of recommendations for researchers, practitioners, and policymakers who seek to create spaces in cities for food justice, equity, access, and sovereignty. Most notably we acknowledge that urban farms are producing a lot more than food; and that equitable planning, public investment and civic engagement are crucial elements in securing the long-term viability of urban farms. More robust analyses documenting the multifaceted benefits and risks of UA such as public health, food security, youth development, food literacy, eco-gentrification and environmental justice can help inform more equitable public policy and planning efforts. 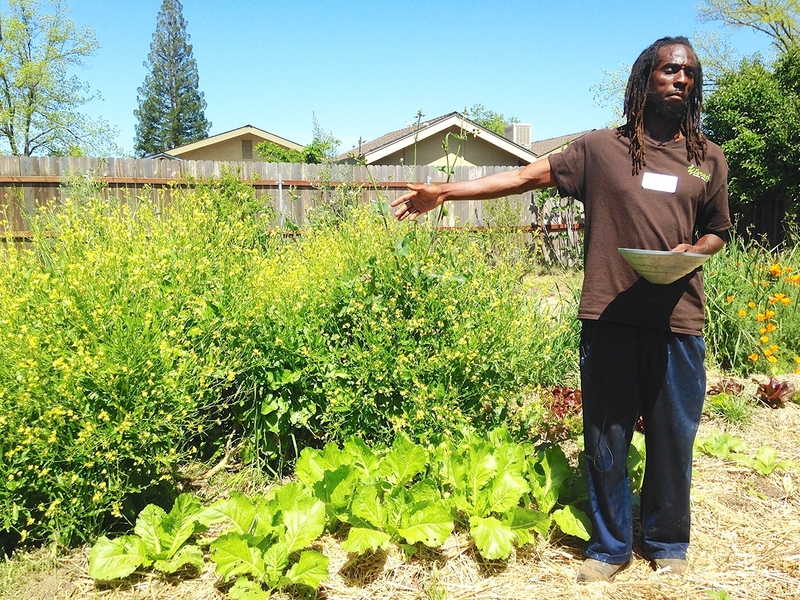 Yisrael Family Urban Farm is located on a double lot in the South Oak Park neighborhood of Sacramento, at the home of owners Judith and Chanowk Yisrael. South Oak Park is one of Sacramento's underserved communities; it has been called a “food desert,” with more fast food outlets than places selling healthy food. The half-acre farm currently includes a front-yard food forest with healing and culinary herbs, more than 40 fruit trees, rows of vegetable beds, herbs, a small flock of chickens, worm composting bins, beehives and a high tunnel hoop-house used for giving seedlings an early start in cold winter months. Yisrael Farm also makes space for community gatherings with welcoming tables and a circle of tree stumps and seats around a fire pit on a grassy area. The farm is home to many gardening and cooking workshops and other community gatherings. Yisrael farm produces healthy food for the Yisrael family and their community. More importantly, Chanowk and Judith help to grow a healthy community by sharing their skills and knowledge, offering classes, workshops and programs for youth, and teaching others how to grow their own food and cook healthy meals. Their mission is to “transform the hood for G.O.O.D.” (G.O.O.D. stands for “Growing our own Destiny") using urban agriculture as a tool for community engagement, empowerment and employment. They demonstrate the benefits of growing your own food and principles of cultivation of the soil which they share with their local community and the world. 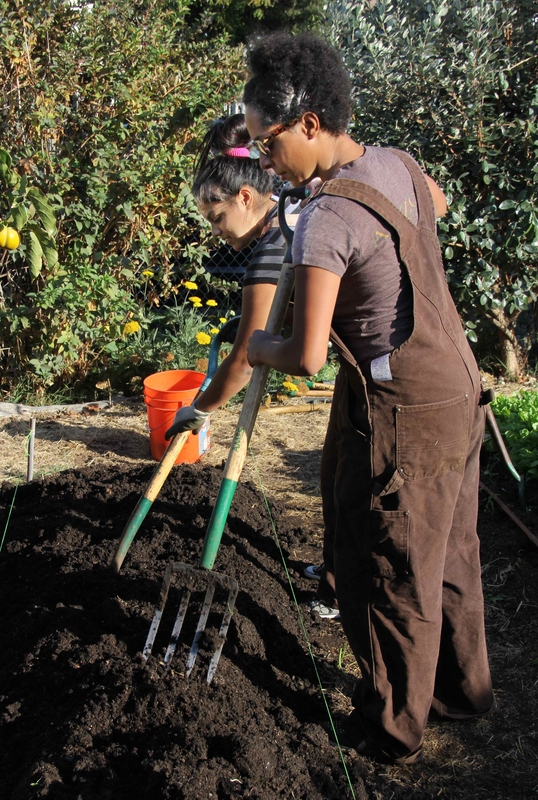 Programs include farm tours, volunteer work days, Urban Roots Garden Builds, which organizes neighborhood volunteers to create backyard gardens for Sacramento residents, and Project GOOD (Growing Our Own Destiny), which brings youth together to have fun while learning where food comes from, how it is grown and how to prepare it. In addition, the Yisrael family produces (and teaches others to produce) natural soaps, lip balms, candles, and lotions using herbs and beeswax from the farm. The Yisraels are also involved in advocacy efforts in support of Sacramento region urban farming policies that encourage and support urban agriculture. The Yisrael family now raises 45 to 50 percent of their own food, and distribute some of their crops informally in their community. In 2017, they raised about 4000 pounds of food and hosted about 1500 visitors. Yisrael Farm operates an urban farm stand, selling directly from the farm to visitors. Farm stand products are fresh produce, farm-raised eggs, jams produced under a cottage food registration, and soaps and other body care products made using farm products. Marketing the food produced on the farm is not a major part of Yisrael Family Urban Farm's program. The major focus of Yisrael Farm is education. Programs and events and classes are marketed through the website, Facebook, Twitter and through community partners. Good rich soil grows nutritious crops. Chanowk Yisrael has spent more than ten years building the soil at Yisrael Family Farm, using natural methods including composting, double-digging, cover-cropping and low-till techniques. The farm soil is now distinctively rich and loose and healthy, enabling the growth of abundant healthy food. Becoming a farmer wasn't easy. Before 2007, Chanowk Yisrael was an information technology professional with no knowledge of agriculture. His first attempt at growing food, in 2007, was planting about 30 square feet with food crops, in July, in Sacramento. Everything died, as July is much too hot in Sacramento for starting a garden. Since then he has learned from experienced Northern California farmers how to grow food, and has taken to heart the advice of one of his mentors: "Forget about the plants; take care of the soil." Other challenges involved obtaining the right to sell produce grown on the farm, which was illegal until 2015. 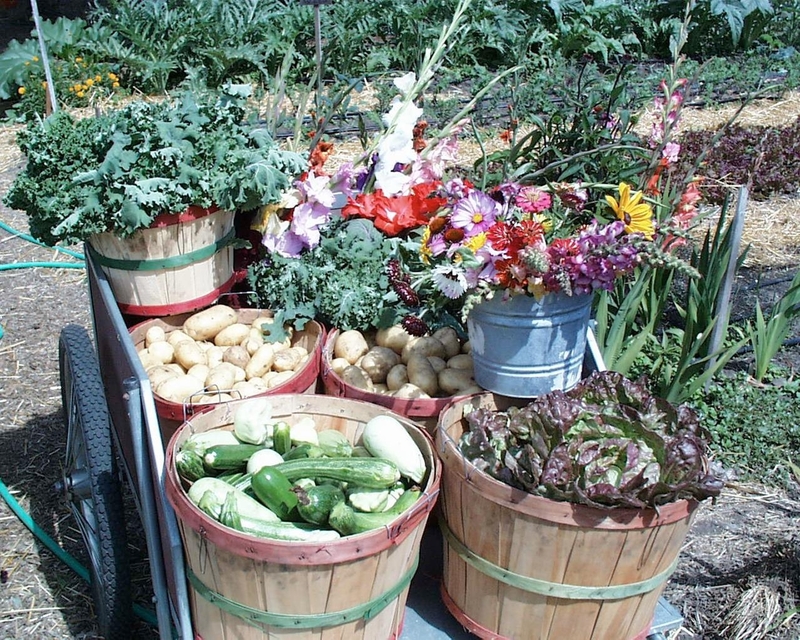 The Yisraels were involved in the community advocacy effort, led by the Sacramento Urban Agriculture Coalition, to legalize urban farm stands in both the city and the county of Sacramento. Students at Wild Willow Farm participate in a hands-on plumbing lesson. When you arrive at Wild Willow Farm & Education Center (WWF) it's hard to believe that you are merely miles from one metropolis – San Diego – to the north, and even closer to the bustle of Tijuana, Mexico to the south. 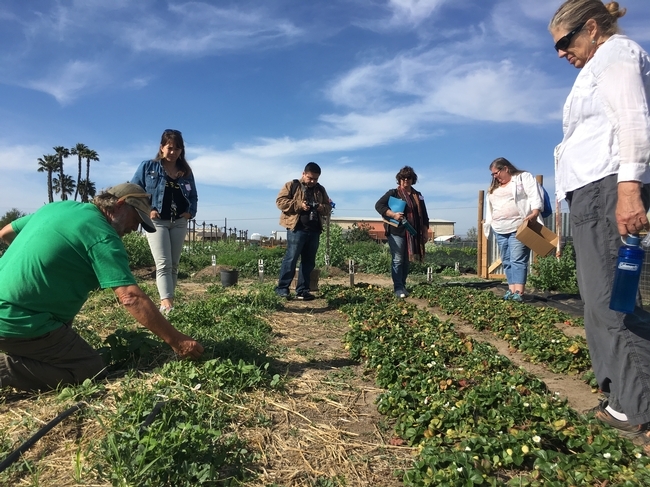 The farm, operated by the non-profit organization, San Diego Roots Sustainable Food Project, calls 5.5 acres home in the Tijuana River Valley Regional Park, with about two acres currently under production. The mission of the farm goes beyond growing food. WWF is a working educational farm that teaches and trains the next generation of farmers to be stewards of the land. They operate southern California's only soil-based farm school, with regenerative agriculture at the cornerstone. WWF offers weekly classes and workshops in food, community, and health-related topics, and four times a year they offer their signature six-week course, Farming 101: Introduction to Regenerative Farming. 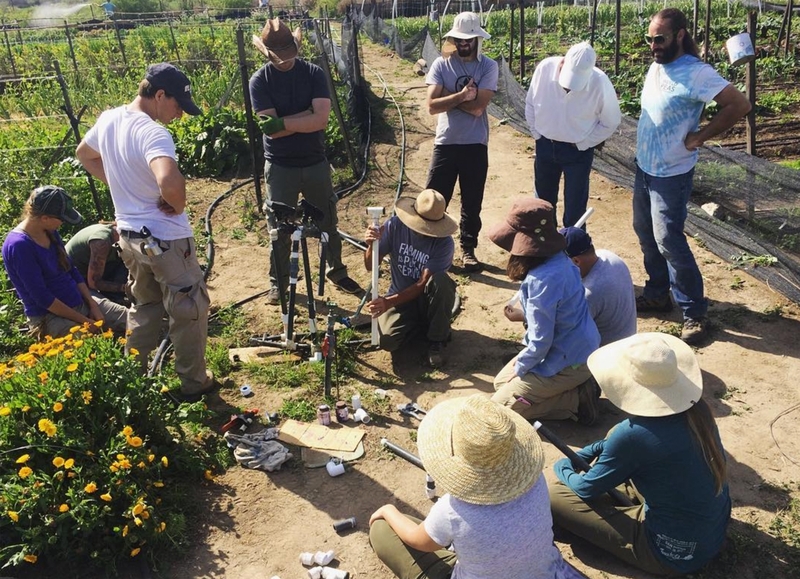 The course introduces students to basic principles and practices that focuses on transforming farms and food production into ecologically restorative, bio-diverse living landscapes best suited for small-scale production. While much income for the farm is revenue generated by programs, funding always remains a challenge. The team at WWF depends on volunteer administrators, and part-time paid staff. In addition, lease restrictions inside the County Park prohibit traditional farm amenities, such as housing for staff and students. The County Park also only provides a five-year lease term, which limits long-term planning and investment in infrastructure upgrades. In its eighth year of existence, WWF has weathered storms, which literally flooded the farm (as it sits in flood plain,) but they wouldn't want it any other way. WWF is a guaranteed breath of fresh air, and embraces all who are willing to make the trip off the beaten path. Wild Willows Farm can be found at 2550 Sunset Avenue, San Diego, California 92154, or online at http://sandiegoroots.org/farm/farm-school.php. The farm's social media links are https://www.instagram.com/wildwillowfarm/ and https://www.facebook.com/wildwillowfarm. Cathryn Henning is WWF's Farm Manager. You can email WWF at wildwillowfarm@sandiegoroots.org. Many urban farmers and gardeners are not aware that in order to legally sell their produce, they need to be an “approved source.” According to the California Retail Food Code (CalCode), "an approved source operates using current public health principals and practices, and generally recognized industry standards that protect public health." Luckily, there are many ways for producers to become an approved source—including some new and innovative programs in the San Francisco North Bay! Certified Producer's Certificate (CPC) for selling at farmers markets from the County Agricultural Commissioner's Office. Operator Identification Number for pesticide use from the County Agricultural Commissioner's Office. Organic Producer certified by an official third party organic certifier (if the expected organic gross sales exceed $5,000), registered with the California Department of Food and Agriculture Organic Program, and submitted to the County Agricultural Commissioner's Office. Community Supported Agriculture (CSA) registered with the California Department of Food and Agriculture. However, many urban farmers and gardeners fall through the bureaucratic cracks. Disconnected from the farming know-how about how to become an approved source or too small to necessitate the traditional industry documentation, they unknowingly put themselves and the people who eat their produce at risk. Fortunately, three San Francisco North Bay Counties—Mendocino, Napa, and Sonoma—have developed an innovative solution by creating their own Approved Source programs. 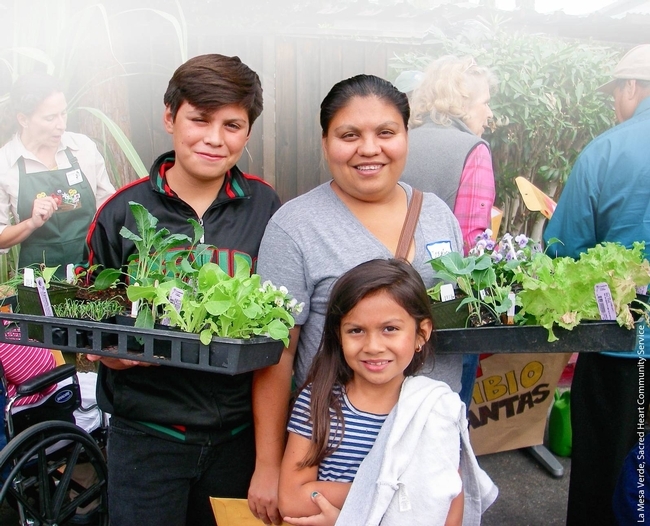 Designed with urban farmers and culinary, home, school, and community gardeners in mind, these Approved Source programs enable growers to legally sell or donate their produce to retail food and food preparation facilities such as restaurants, soup kitchens, food banks, and school meal programs. 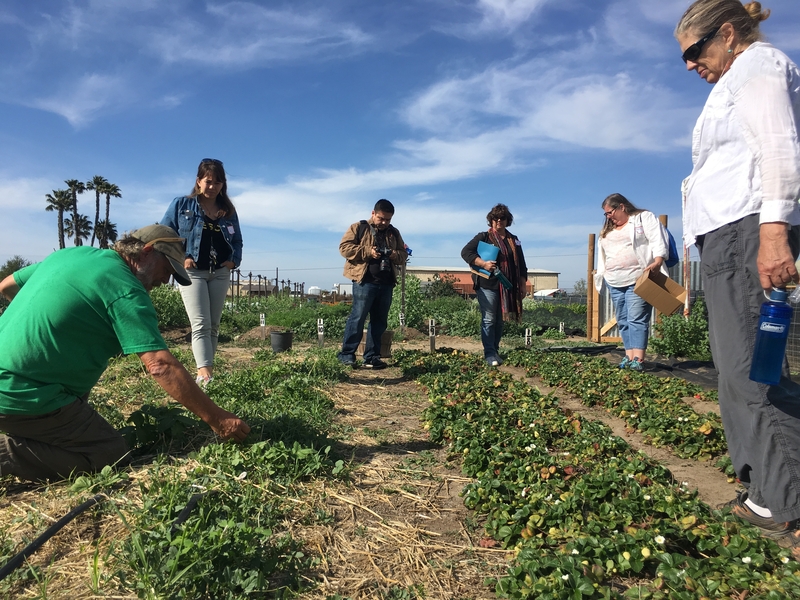 These voluntary, practical, and no-cost programs help growers meet the intention of CalCode's Approved Source through transparency and best management practices for food safety. Growers simply register online with their business name and contact information which provides the necessary traceability, and they self-certify that they follow common-sense best management practices that reduce food safety risks from contamination and the transmission of pathogens through water, soil amendments, worker hygiene, and post-harvest handling. Interested in learning more? Read on to hear how each of these programs developed. Napa County's Best Management Practices Agreement for a Garden to become an “Approved Source” was developed in 2012 to address the growing popularity of culinary gardens popping up at Napa Valley restaurants and wineries. The NapaLocal Food Advisory Council worked on the topic, forming a subcommittee comprised of County staff from the Agricultural Commissioner's Office, Environmental Health, and the Planning Department, as well as community members. They hosted an approved source roundtable to gauge community concerns and interest. Then they reflected on how the Agriculture Commissioner's office might help culinary gardens attain the approved source designation through the Office's existing services, and they created their own working definition of what it meant to be an “approved source” since CalCode allows for Environmental Health to use their own criteria for determining the designation. From these early conversations, it became clear that there needed to be a different process for growers not served by the typical approved source designations that were already in place. As a result, the Agriculture Commissioner's Office and the Napa County Environmental Health Department developed a self-certification process for growers based on a set of mutually agreed-upon Best Management Practices. Then the County's Information Technology Services created an online questionnaire that automatically populates the information into a publicly available online database. According to County staff, the development of the program took a cooperative effort between the Agricultural Commissioner's Office and Environmental Health, and by working together, they were able to develop something that meets the needs of local growers, protects public health, and is easy for the County to manage. Currently, the program has 26 producers registered, including culinary gardens at restaurants and wineries as well as educational gardens at schools, colleges, and nonprofit organizations. Sonoma County Approved Produce Gardener Certificate was based on the success of Napa's program and developed by the Sonoma County Department of Health Services, the Sonoma County Agricultural Commissioner's Office, and UC Cooperative Extension, with assistance from the County's legal counsel and Information Services. The team met a half dozen times over a number of months to develop the program, test the website, and deliver two workshops to interested producers. Their primary challenges were how to develop and launch the new program without a budget, how to make the website simple to use and easy to understand, and how to make sure users would actually read the Best Management Practices and agree to abide by them. Based on the successful launch of the program, there are now currently 76 registered growers, with a total of 190 registered since the program was first rolled out in April 2013. Mendocino County Approved Source(MCAS) was launched just this year and developed cooperatively with Mendocino County Environmental Health, the Agriculture Commissioner, Information Services, and the Mendocino County Food Policy Council. The goals behind the program were to protect food safety while opening new markets for local, small-scale produce growers in order to support local economic development. Interestingly, although their program is designed primarily for Mendocino growers, MCAS welcomes growers from neighboring counties to register, in hopes of fostering greater reciprocity between the other North Bay counties and enabling growers to expand to markets beyond county boundaries. In less than a year, the program already has 19 producers certified, including a couple from neighboring Lake County.